Hey Disney·Pixar Cars fans! Tonight I'm back with another quick Cars 3 Mattel 1:55 scale diecast review. 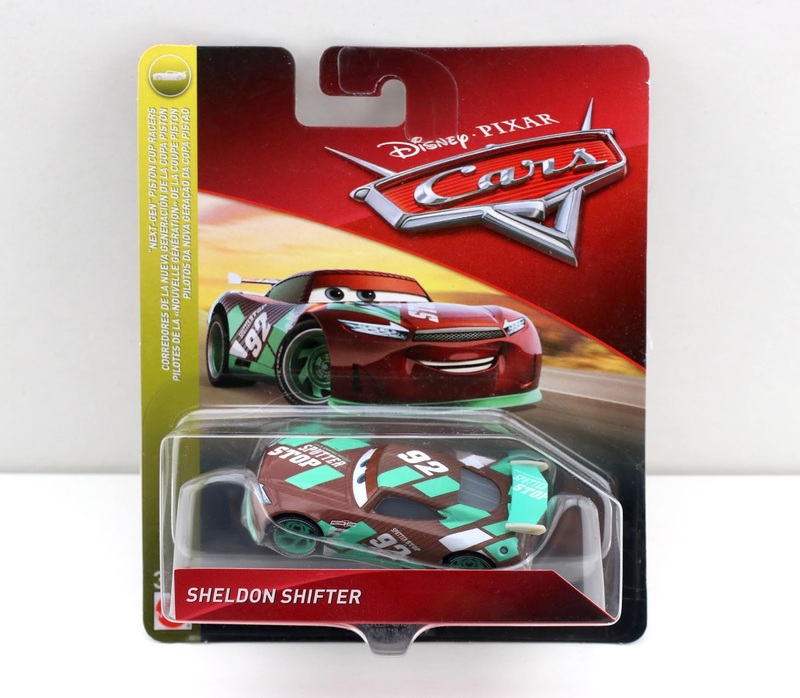 Released back in February of this year, here we have Sheldon Shifter—the "next-gen" Sputter Stop racer (No. 92)! 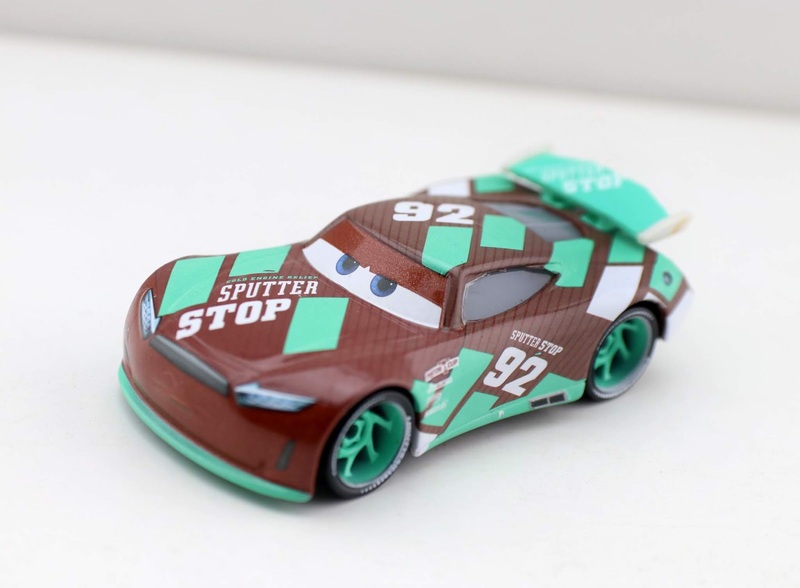 During the events of the original Cars and the beginning of Cars 3, Murray Clutchburn was the racer sponsored by Sputter Stop until he was replaced by Sheldon here (who has a very different look). 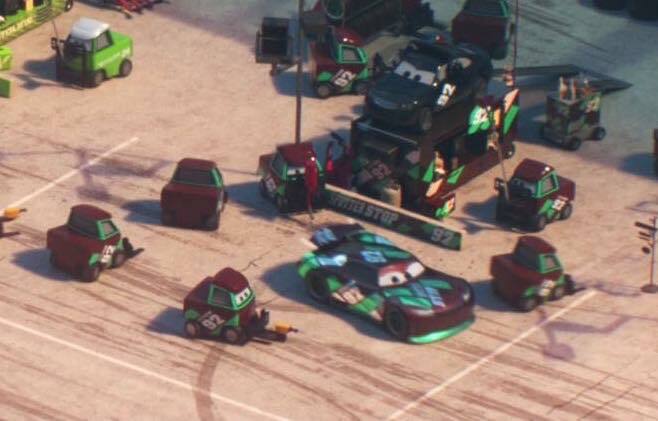 You can see a pretty clear shot of Sheldon in the pits in the Cars 3 screen cap above. We all know the next-generation racers look the coolest and Sheldon's design is no exception! It's no wonder the next-gen characters are always the first to be snagged off the shelves. Kids especially love them. I really dig this one's unique color scheme—reminds me of a chocolate mint candy! Mattel did another great job here as always. Amazing attention to detail! If you still need to add this one to your collection, Sheldon can still be found on the pegs pretty easily; so be sure to check your local Walmart or Target for availability. You can also grab him online using the direct Amazon link below. Shout out YOUR thoughts down in the comments! Do you have a favorite Cars 3 racer?